There is no dearth of pressure cooker and pressure cooker accessories in India. So, one can easily grab any of them at ease but the important part lies in taking adequate care of the cookware. Here are few tips on how to take care of your cooker and keep it safe and sound for years to come. Pressure cooker is one of the most important equipment in one’s kitchen. It is also one of the most effective cookware making cooking more of a fun activity. It reduces the cooking time and at the same time keeps the health and the taste factor locked inside the food. Therefore, it is really important that one must take good care of the cooker. One can avail different forms of cookers and pressure cooker accessories in India but at the same time it is important to take adequate care so that it continues to be your trusted companion for a long time. Here are few important tips to keep your pressure cooker in a good state for a long time. Always put adequate liquid while cooking in the cooker. Pressure cooking requires less liquid than what is required in other conventional methods of cooking as rate of evaporation is far lesser. Still, one should be very careful while adding liquid in a pressure cooker, it should not be more but at the same time it should never be less at any time. It is always recommended to use at least 1 cup of water while cooking in a pressure cooker. The liquid should never be more than ½ ways filled with water. If after cooking you find additional water then just boil it uncovered in order to have the desired consistency. Storing the pressure cooker properly is another important attribute in order to ensure that the cooker and the pressure cooker accessories india remain in a good shape for years to come. Hence, after it is used, each time the cooker should be washed and dried properly. The rubber gasket and lid should be cleaned individually with hand using lukewarm, soapy water and dried with utmost care. The safety valves must be clean and without obstruction and the gasket must remain flexible when it is inserted under the lid. While storing, the lid must be kept on the top of the pot facing upside down. It is never advisable to fill the cooker to the brim as the steam needs some space to build up. About 2/3rd of the pressure cooker should be filled with food and not more than that. The concept of pressure cooking rests on the fact that steam is produced in this method of cooking and steam being hotter than boiling water make a dish cook at least 25% fast or may be faster. Pressure cooker accessories are very important. As long as the accessories are working properly the cooker works fine too. One must be careful to keep a check on the accessories. If things have worn out it is important for them to be replaced immediately. Gone are the days when pressure cooker used to be a large, noisy and difficult to handle. Their popularity dwindled highly because cooking in such a utensil was extremely difficult. The 2nd generation the pressure cooker gained much attention when it became less noisy, light and easier to handle. 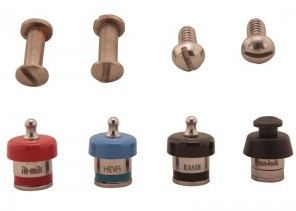 The pressure cooker accessories have also become easy to install and clean. 1) Cooking in a pressure cooker needs very less amount of oil. The pressure forces the food to be cooked in the natural oil that comes out from the food material. Thus the food cooked is highly nutritious. 2) The health buffs or people aiming to lose weight can easily pressure cook their food quickly and without much oil. Most of the pressure cooked meals contain very less amount of cholesterol and fat compared to the other methods of cooking. 3) Highly portable and is perfect for the camping trips. A stove-top model can be used to cook in any type of flames be it a make shift stove or a bonfire. 4) It is highly flexible. It suits any size of family easily. With the right kind of accessories one can cook any type of cuisine. • Gasket: the seal. It locks the air inside the pressure cooker allowing the steam to build up pressure. 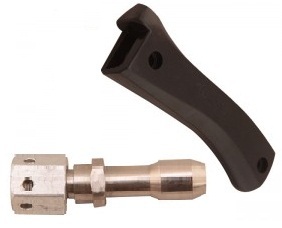 • Cooker handle and bracket: very important for moving the hot vessel. These are made of polycarbonate material which does not heat up along with the metal body. • Cooking rack: essential for heating up several dishes at once. Saves much energy. • Cooking pressure regulator: it vents the pressure that has built up. Thus, it makes the pressure cooker a safe vessel. It keeps releasing the pressure depending on the heat. A pressure cooker is a very important utensil that we all own but hardly use. Go on the net immediately learn how many fabulous dishes you can cook. They are easily available, affordable and energy-saving. Along with the right pressure cooker accessories one can create wonderful dishes within minutes. 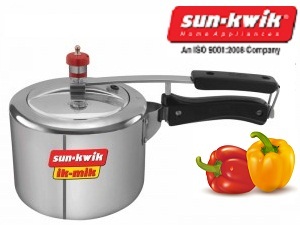 How pressure cookers are the best choice among all the equipments in the modern kitchen? Pressure cooker is no doubt the wisest choice of kitchen appliances to cut down on the working hours in the kitchen and also for making the food cooked in a much more nutritious way. Pressure cooker is one of the most utilitarian devices in any kitchen offering utmost ease to the individuals working there for hours altogether. If you really need to get out of the kitchen fast finishing all the cooking stuff in a swift and easy way then you must make a pressure cooker your trusted companion. The pressure cooker products have become so very popular and have retained their popularity for such a long time just because of this very fact. A pressure cooker cooks your food in the most nutritious way and retains the entire vitamin and other essential food values absolutely intact. The equipment helps in cooking the food in a situation which is totally made of steam and is more or less airless. Its mechanism is such that it helps in building up steam within the pot and the steam is actually super heated and increase the taste of the dish by intensifying the flavour stacked in the natural ingredients. The steam even cooks up the fat content which can be drained out afterwards. The best use of a cooker although lies in cooking up the vegetarian and low fat delicacies. Now the pressure cooker manufacturers are making devices which bear extraordinary quality and they can be used on number of heat sources like propane, gas, magnetic, heat induction system, electric, solar and even on wood and charcoal. Since the device decrease the time of cooking hence they decrease consumption of energy. Therefore, it can be well said that the pressure cooker products are friendlier to the ecological system and hence better and wiser choices no doubt.